Let's have a look at Myanmar real estate markets today and the anticipation for next year. Where should be invested and in which sectors or which cities. Where are the destinations for people in Myanmar to invest abroad? 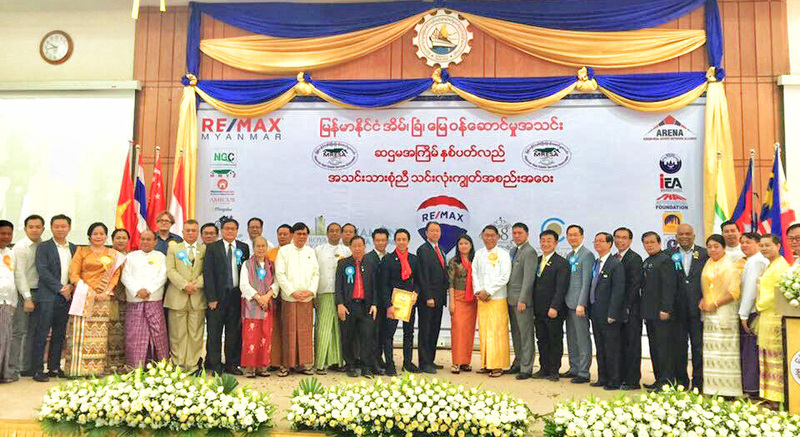 During the Annual Conference of the Myanmar Real Estate Services Association (MRESA), Mr.Khin Muang Than, Chairman of MRESA generously invited Dr.Sopon Pornchokchai, President, Agency for Real Estate Affairs (www.area.co.th) and President, FIABCI Thailand as well as a board member of the ASEAN Real Estate Network Alliance to speak at this conference as well. Dr.Sopon conducted a small survey to members of the MRESA on property markets in Myanmar. Considering the overall assessment, the participants assessed the 2018 economy of Myanmar a little negative, namely slightly below the average of 5. However, it was anticipated to be 5.7 in 2019. This meant that they had a high hope for the recovery in the near future. Similarly, the real estate markets were assessed at 4.6 in 2018 and could be 5.7 out of 10 next year. The real estate markets would be developed subsequently to the economy. On the whole, rental apartments particularly for foreigners were among the best sector attractive for the development with the share of 28%. Next were those industrial properties particularly in the area of Siriam closly located to Yangon with a share of 24%. Simply subdivided land plots were also attractive to investors too (with a share of 24% as well.). Dagan North (https://bit.ly/2GQYqyW), a new township of 26.28 sq.kilometres (10.145 sq.miles) is the most attractive location for investment. There were altogether 25 wards and was a new township established in 1989. In this township, land prices were among the highest. There are a lot of high school and a university connected to Yangon via railway. 4. Which City to Invest in Myanmar? Yangon is the most attractive destination for investment with a share of 44% of the respondents followed by Mandalay with a vote of 26% There are also Pyin Oo Lwin and Bago as well as a few other cities. Therefore, foreign investors should centre in Yangon which is still the economic capital city. Singapore was the first in the priority for people from Myanmar to invest (40%) Then it was Thailand (32%). However, it was expected that the intention to buy properties in Singapore was only a 'dream'. Foreign buyers in Singapore had to by 15% of tax upfront in order o transfer the ownership. In addition, there were also property tax. Therefore, Thailand might be the more realistic destination for Myanmar people. The survey results in 2015 and 2017 were also very similar. Let's explore in further details prior to actual investments.